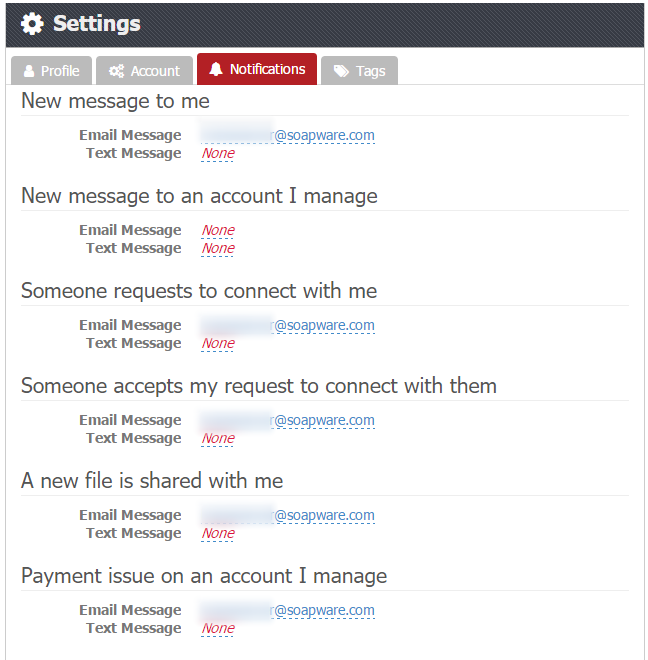 Within myHEALTHware, when an event occurs (a connection is requested, or a connection request is accepted, a user has a new message, etc), a notification will be generated by one of three options: email message, text message, or voice message. The user must be logged into the account to access the Notifications information area. This will be located from the drop down selection within Settings, next to the username, in the upper right corner of the screen. Click on Notifications to get started. 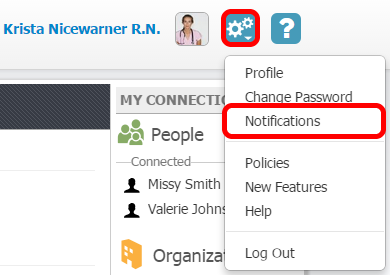 To set notification preferences when various events occur, click the drop down arrow to select to be notified by either email message or text message. *Note: The items that are listed in your drop down options for email message and text message are derived from the emails and phone numbers entered in the profile section of your user account. 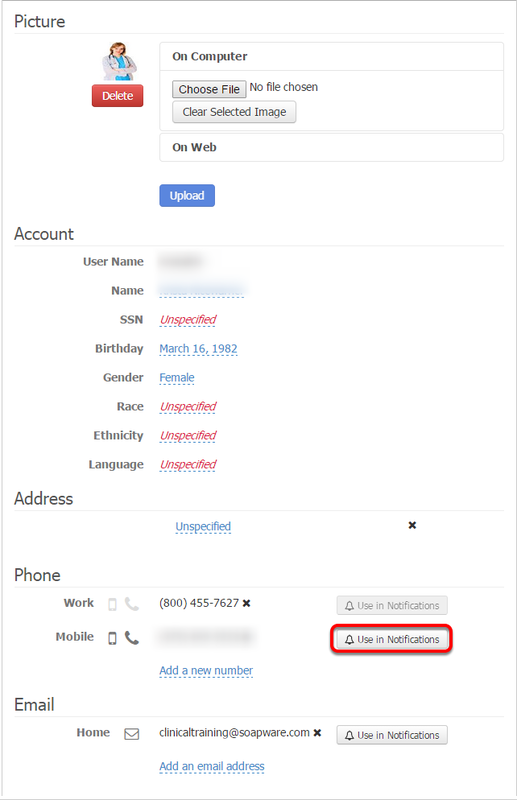 Notifications can also be set from the users Profile page by clicking the Use in Notifications button that is located next to a verified phone or email address.